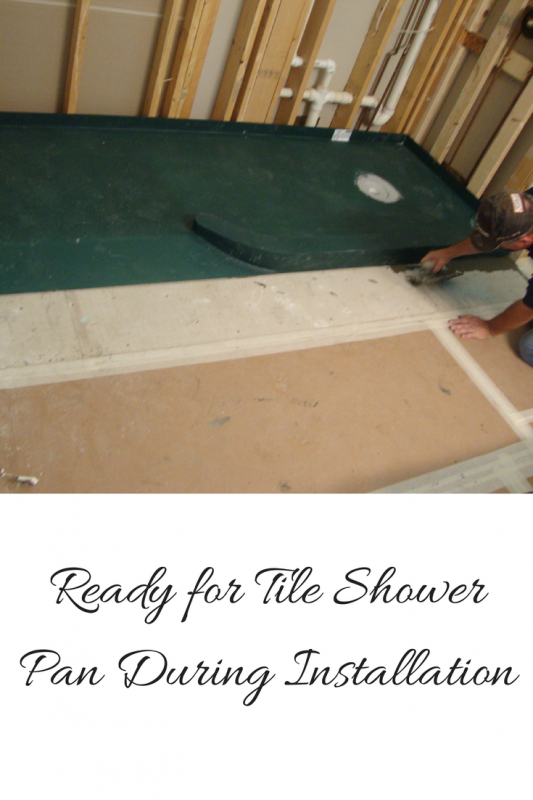 If you want a waterproof tile shower base which is simple to install (with the option of putting the drain in any place) then an expanded polystyrene tile ready shower base should be top on your list This base is lightweight, can be made in any shape and is easy to install (it can be thin set to a subfloor and thin set over and tile applied). In addition the design can include either a step over curb or a barrier free entry. 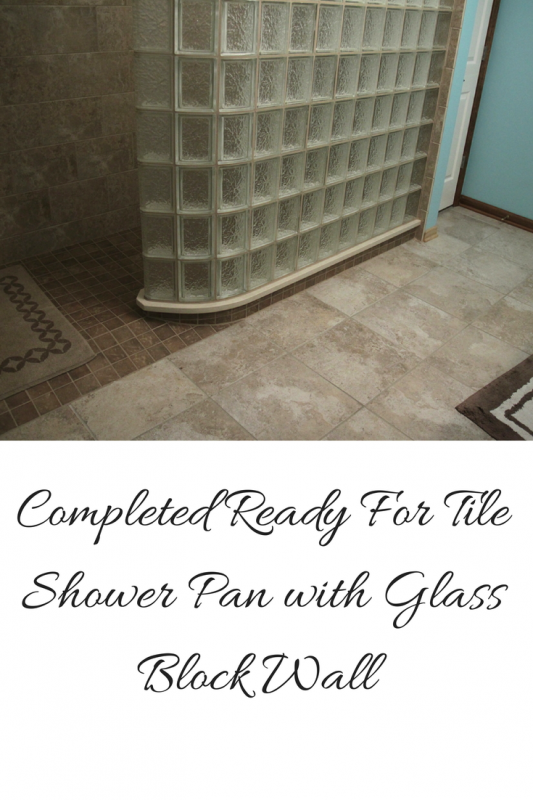 When you want a wall like a curved glass block shower, this base simplifies the process and makes it possible (even for someone who hasn’t done this type of project before) to get ‘er done (as Larry the Cable Guy would say). What’s cool about the design of a cultured granite shower pan is they are grout free, can be custom designed in many colors, are sturdy and are hygienic as well. 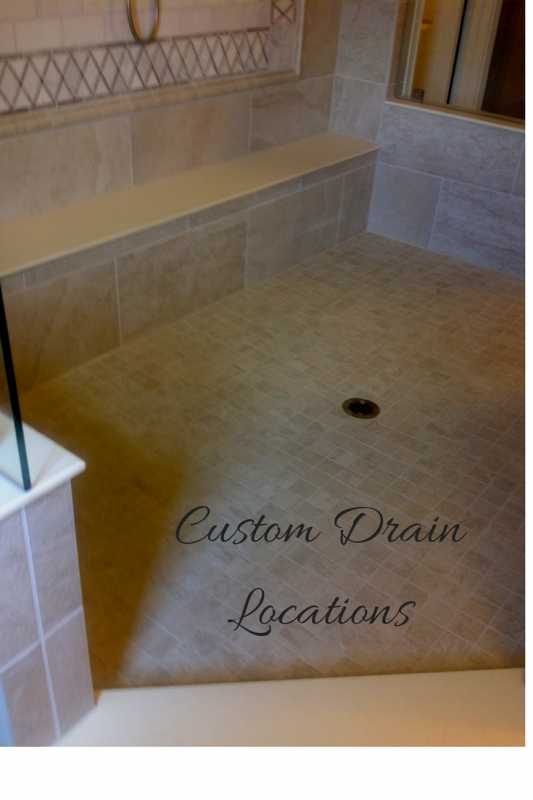 Since they are available in custom configurations the drain can be put in any location. 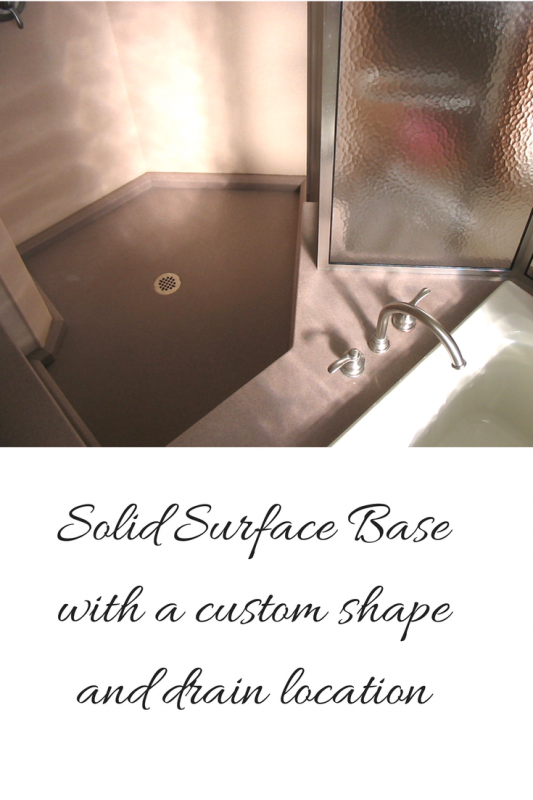 One thing to keep in mind with solid surface bases is they are heavy (which can be a concern maneuvering the base into the room). You’ll want to eat your Wheaties and call out some buddies for a steak dinner in exchange for helping you set the pan. 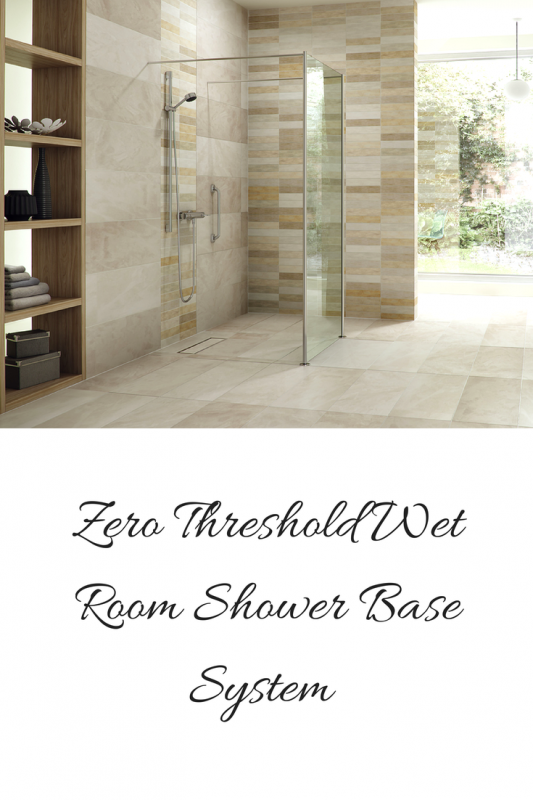 Option 3 – A One level wet room with a Zero Threshold entry to put your drain where you want it. If you have a family member with a disability or is sight or mobility challenged (or you just want a sleek looking bathroom) a glass reinforced shower base former can be the answer. These zero threshold shower formers (which are pre-sloped) are set directly on the joists and be rotated or cut to accommodate an existing drain hole. 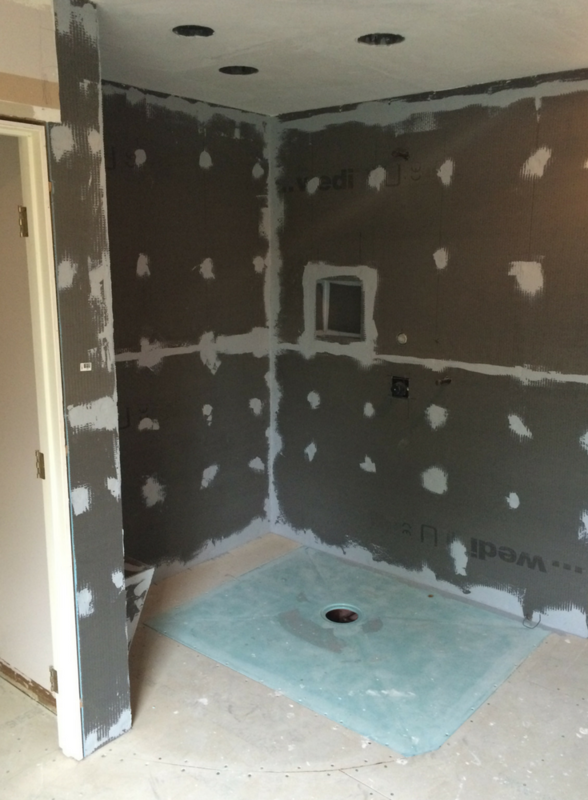 Once the base former is set the surrounding area is waterproofed – making a sleek one level wet room installation. These types of bases can be a fantastic selection for a roll in shower project – they not only look contemporary, but are safe as well! While there are other options besides the 3 mentioned above to use an existing drain location in a bath remodel I have found these choices provide good looking long lasting alternatives. Please comment below or call us to learn more about these innovative shower bases, wall surrounds or glass enclosures. On a nationwide basis call Innovate Building Solutions (877-668-5888) or for a local remodeling project call Cleveland Design & Remodeling (216-658-1270) or The Bath Doctor of Columbus (614-252-7294) or Cleveland (216-531-6085). Hi Mike, I am removing a bathtub/shower and replacing it with a walk-in stall shower. Is it necessary to relocate the drain to the center of the new shower or can it be left where it is, which is at the end of the bathtub? Please advise. Fred – thanks for reaching out – I look forward to helping you on this project! Hello Mike, I’m ready to see what you can do for me on helping with the floor plan for my shower. I’ll send you pictures of the rough part of where the shower is going to be and measurements of what size. Also I’m wanting to make it floor level entry with no barrier. I can also move the drain and want to use a long narrow drain, about 24 to 32 inches.